I just wanted to share the news that Copper Centurion received a 4 1/2 star review (or 4 & 1/2 airships out of five review) over at GNostalgia, a fellow wordpress blog that focuses primarily on steampunk novels. I am so very thankful to him for taking the time to review the novel. You can check out the review here. I also wanted to remind everyone that I don’t pay for reviews, but I will send out my books for reviews if I think I may have a chance of getting one. In my opinion, buying a review is not worth it. But I won’t beat a dead mechaniphant to death over the matter. 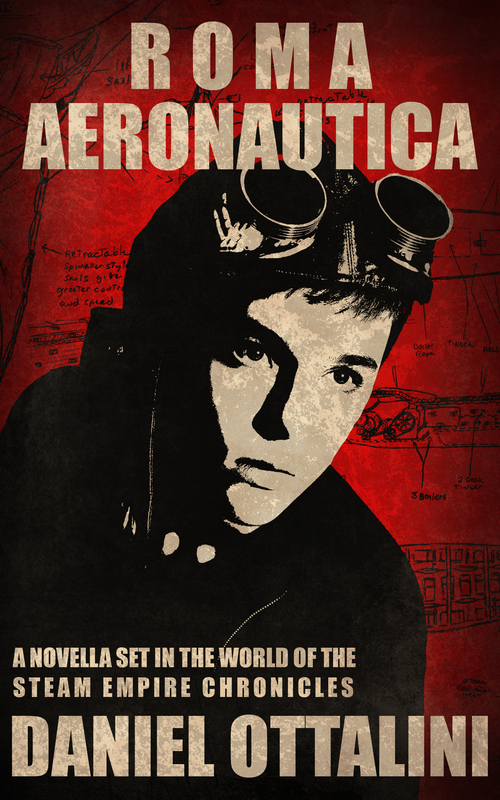 In other news, I just approved the final cover and formatting for Roma Aeronautica. I’m looking to release the novella late summer most likely, so be on the lookout. Here’s a look at the final cover art!